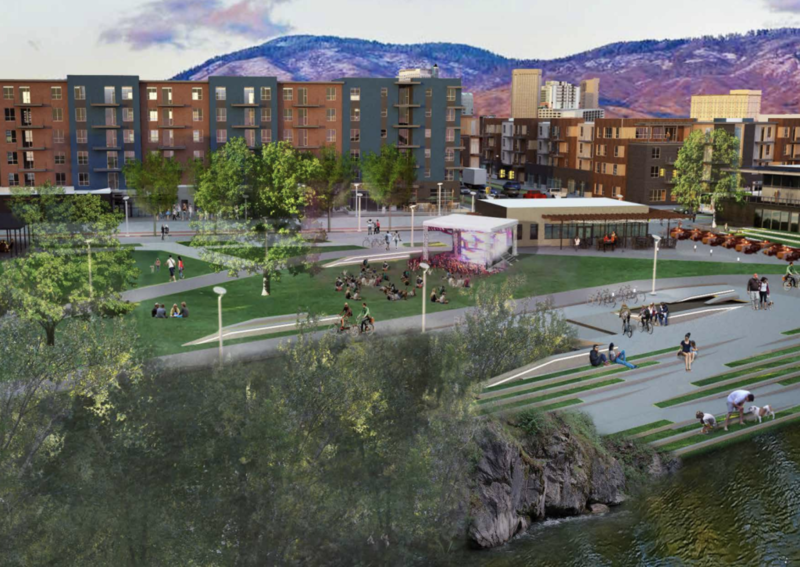 The City of Boise city council voted to move forward the plan for a new urban renewal district centered on the Boise River earlier this week. The Shoreline District includes the Lusk area on the south side, plus a portion of land that would have included a stadium on the north. The stadium project was canceled on Shoreline Drive, and developers are hoping to revive it elsewhere. In August, BoiseDev took an in-depth look at the project. During discussion on the project, the council focused on two main portions of the project: affordable housing and the river. The Boise River is one of the City of Trees’ most celebrated assets. In many places, the river hides behind a large canopy of trees and brush, with very little active use. In nearby Garden City, the river is seeing an increase in commercial activity. 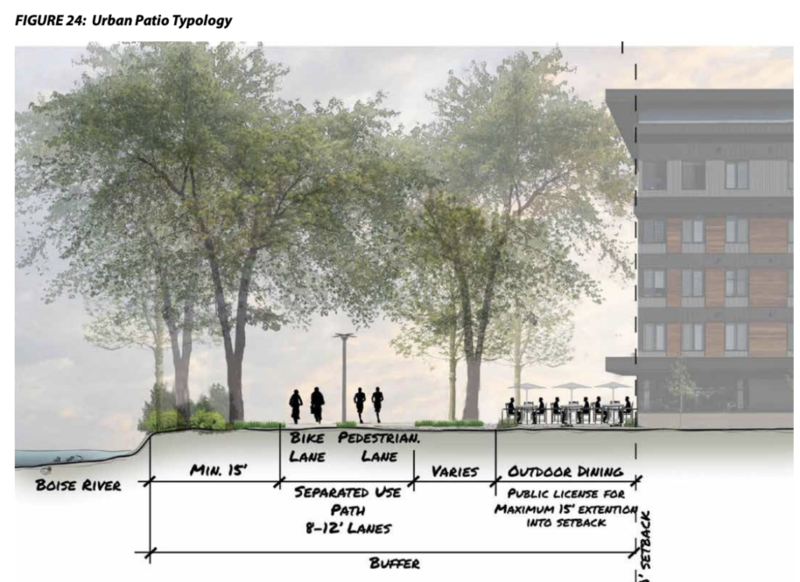 The CCDC Shoreline plan includes a number of concepts and plans to help connect the city with the river, including a revamp of Shoreline Park. The pocket park is near the old Kmart/HP/St. Luke’s (depending on your age) building on River St. 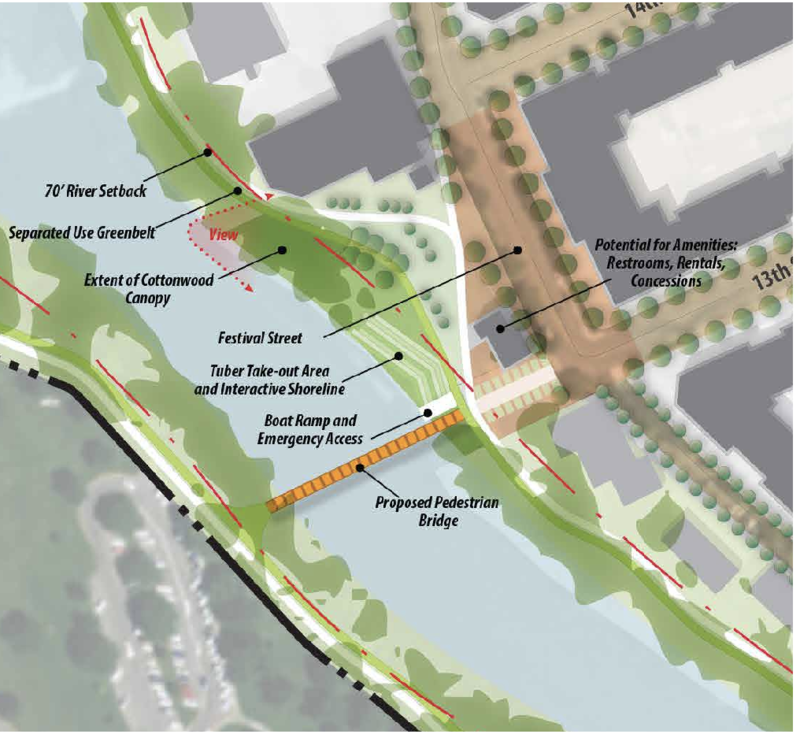 The Shoreline revamp is envisioned to include a new pedestrian bridge to Ann Morrison Park, an area for river floaters to exit, open lawn space and more. 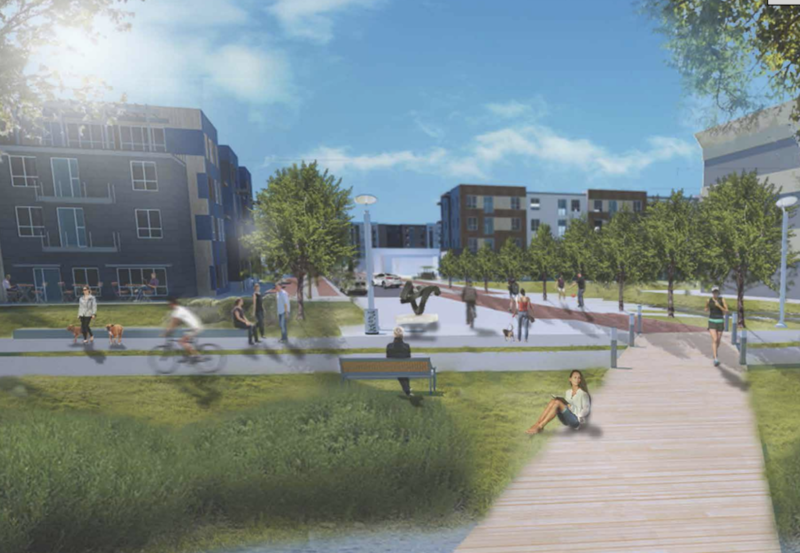 Shoreline Park improvements are currently slated for the second five years of the twenty-year district lifespan. Another project expected in sometime after 2023 is a new public park in the area of Lusk and the Greenbelt. 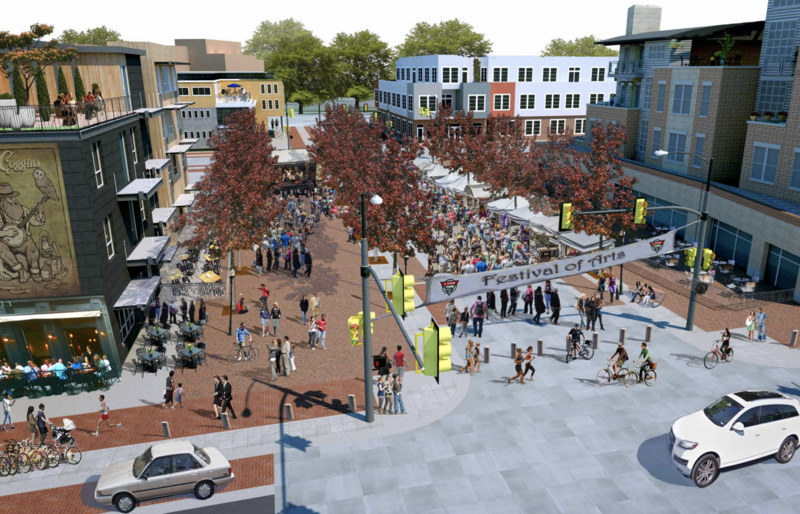 This concept could include a new 11th St. pedestrian bridge, separated paths for walkers and cyclists, new river access points, seating and support for the development of patios near the river. The Shoreline & Lusk areas are home to workforce and affordable housing, and several city councilors said they hope this will be protected and enhanced. CCDC program manager Shellan Rodriguez said her agency and its consultants put a particular focus toward housing. “We want to incentivize a diversity of housing options that can look many different ways,” she said. Representatives with consultant SB Friedman said there are five areas that could hold additional housing and could support 1,225 additional housing units over the 20-year life of the district. 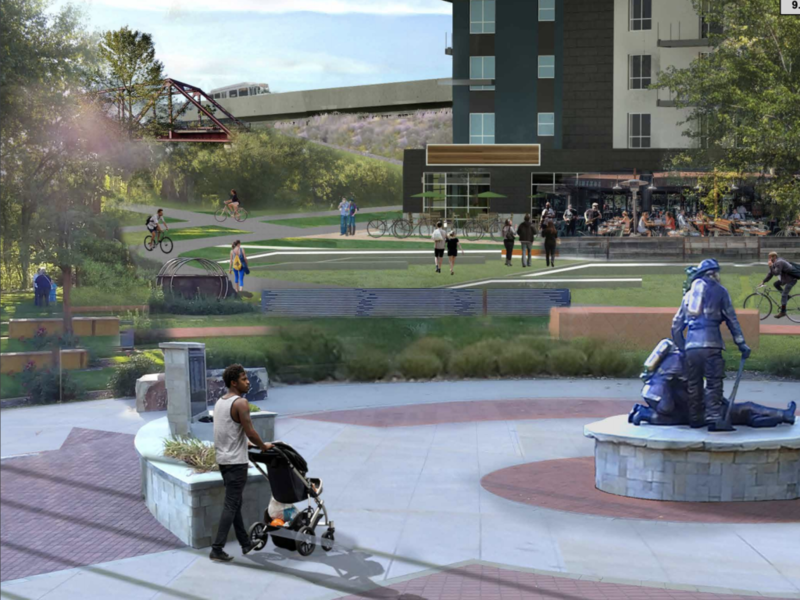 Another idea is to take the property CCDC refers to as the “Fireman’s Training Site” and revamp it to include potential affordable housing, plus added public gathering space. The Boise Fire Department now uses a new training center in west Boise. 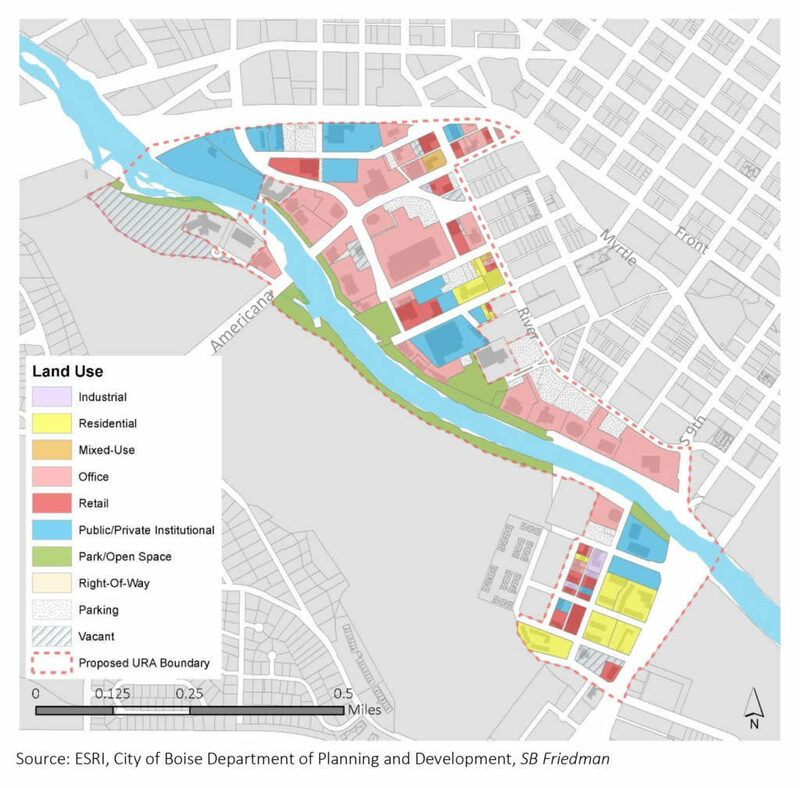 Boise Fire Chief Dennis Doan tells BoiseDev his team still actively uses the site as its operations center – and any redevelopment of the property could only come after the city finds a new home for those facilities. The district will undergo two additional readings in the next two weeks – with hopes of starting on January 1, 2019.